Wine Enthusiasts will receive a handpicked selection of 12 bottles of wine two times a year (in the spring and fall): this offers our members the opportunity to choose between sampling all our Whites, Reds or the Winemakers assortment mix of whites & reds. Wine Club orders are shipped for free, or if you prefer, pick your order up at our tasting room, and receive a 15% discount on your order. Email notification and package details will be sent propr to the upcoming wine club shipment. Each wine club shipment will be automatically charged to your credit card. (approximately 15-20 days prior to wine shipment). 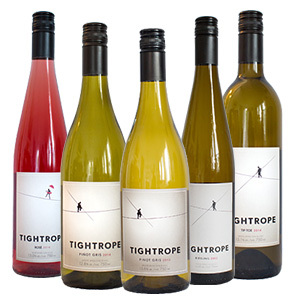 Wine Club Members may cancel their wine club membership and wine shipments by signing in to their account at the top of this page, or by sending an email to wineclub@tightropewinery.ca. All cancellation requests must be received by email at least 30 days prior to the wine club shipping date. If your cancellation notification is received after the 30 day time period, your cancellation request will be applied to the following shipment. Wine Club Members are responsible for address changes which may be done through your account. The winery must be contacted a minimum of 14 days in advance of shipment otherwise rerouting charges will be charged. Wine Club Members enjoy FREE Shipping within Canada for their regular wine club shipments. Free shipping does not apply to large format bottles (Magnums), nor does it apply to heated shipping or air shipping services. Custom and duty regulations prevent us from shippping outside of Canada. Membership is for a minimum period of two shipments with automatic renewal. Membership may be cancelled after the two shipments but must be 30 days prior to the wine club shipping date. 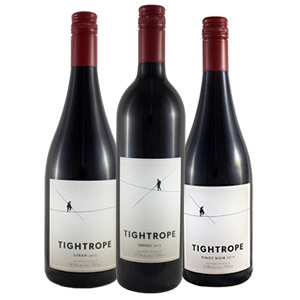 Must be legal drinking age to join our Walk the Wire Wine Club. All wine club shipments are shipped via ATS Courier or Canada Post, ground service. You will receive your tracking number via email. You can then track your package online. ATS requires an adult (19+) signature for all wine deliveries. Packages that contain alcohol cannot be left without a signature. We do recommend a place of business to ensure there is someone there to sign for the delivery during business hours. ATS and Canada Post will attempt delivery once. If you are not home, they will leave a door knocker with the tracking number and instructions for picking up your shipment at their nearest depot. Re-delivery attempts can be arranged through the winery, extra shipping charges may apply. A $10 re-route charge may be applicable of a secondary address re-route is required after packages have been shipped or after the deadline for providing updates for Wine Club Shipments. 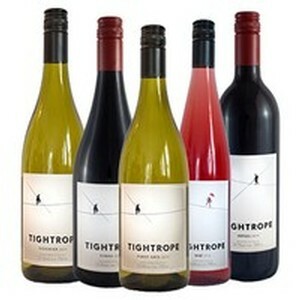 It is Tightrope Winery’s policy to ship only when weather permits as we want your wines to arrive in perfect condition. We do not ship during extreme heat (temperatures over 30C) or extreme cold (temperatures below -10). We will advise if your package is delayed due to weather, and give you the option to purchase heated or cooled service if you wish to not wait for your wine. Ground shipping generally takes 1-2 business days for BC & AB locations, 2-4 business days for SK and Manitoba and 5-6 business days for ON & QB.